With Patient Access, you can now view, book and cancel appointments from home, work or on the move – wherever you can connect to the internet. 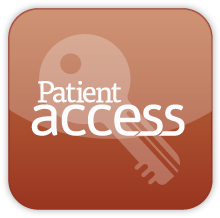 What’s more, because Patient Access is a 24 hour online service – you can do this in your own time, day or night. Patient Access is not just for booking GP appointments; you can also order repeat prescriptions and see test results and your medical record. 1) You can visit the surgery and let one of our receptionists know that you would like to use this service. One of our receptionists will hand you a letter giving you all the information you need to register on line. Once you have this letter then please click the link below and follow the on screen instructions to register. 2) You can register on line. Please click the link below and follow the on screen instructions to register. Please note that this will allow you to book ONE appointment online and you won't be able to request your repeat prescription, until your registration is processed. This normally happens within 5 working days. Click here for more information, to sign in or register. Do you have to pick up your prescription from the surgery? YOU CAN BOOK GP APPOINTMENTS UP TO TWO WEEKS IN ADVANCE! Please ensure that you book the appointments appropriately. If you are unsure as to whether it is appropriate for you to see a nurse or doctor please contact us by telephone. When you book an appointment online you will receive confirmation. There is no need to re-confirm – just arrive promptly on the day. We ask that you enter a reason for your appointment in the box provided when booking your appointment as this gives us the opportunity to ensure that it is appropriate for you to see the doctor rather than a nurse. Please be assured that all details entered are secure and cannot be intercepted. You can also use this facility to cancel appointments which will help us to offer them to someone else who may need one. For more help in booking appointments online, click here.